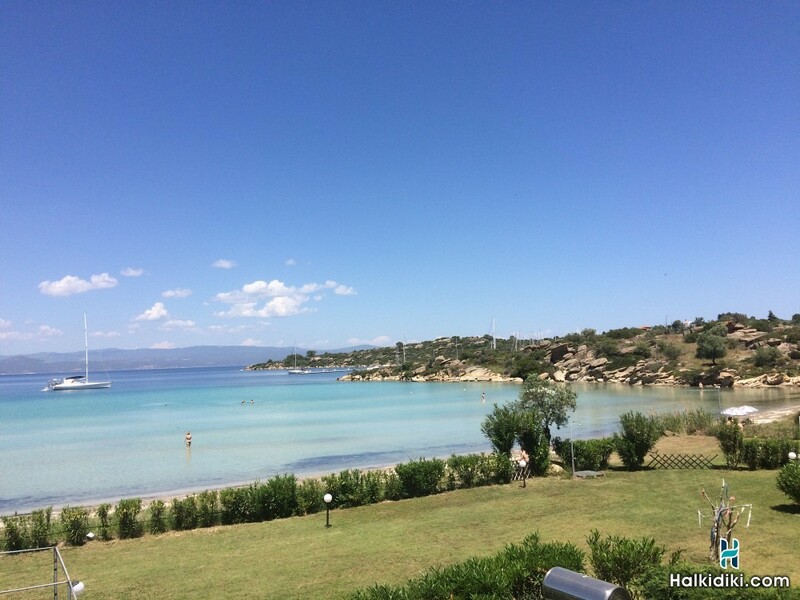 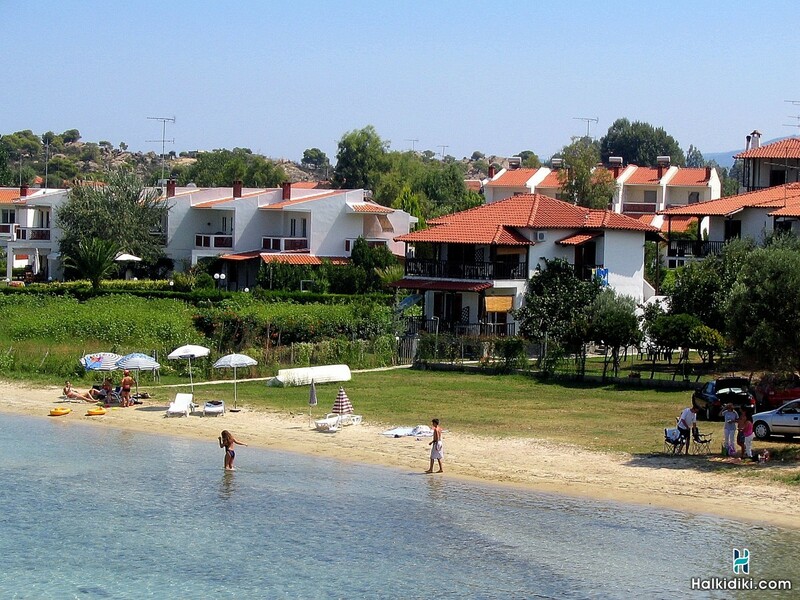 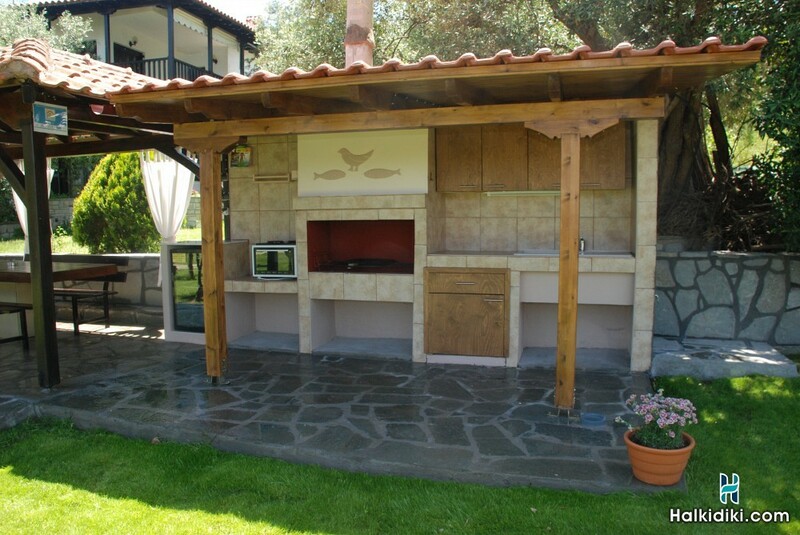 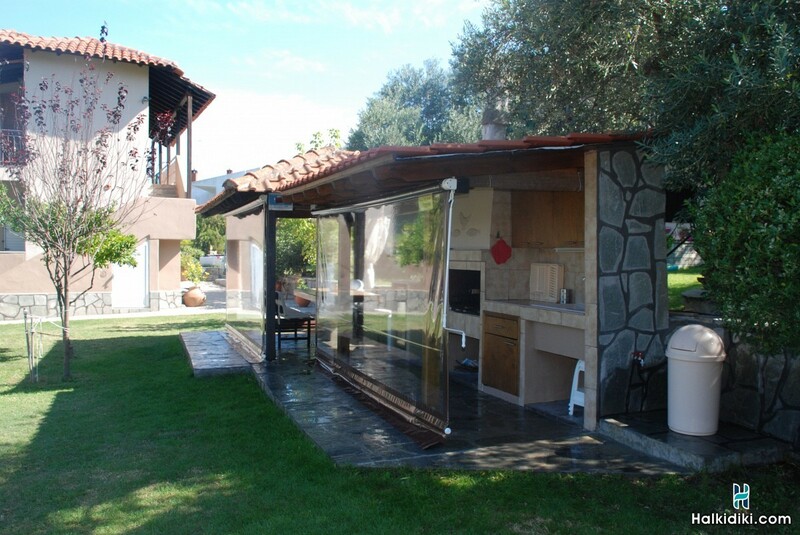 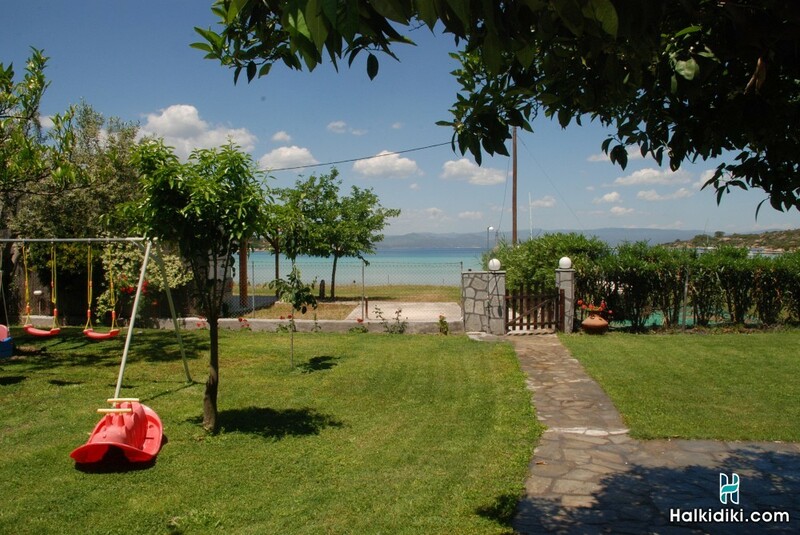 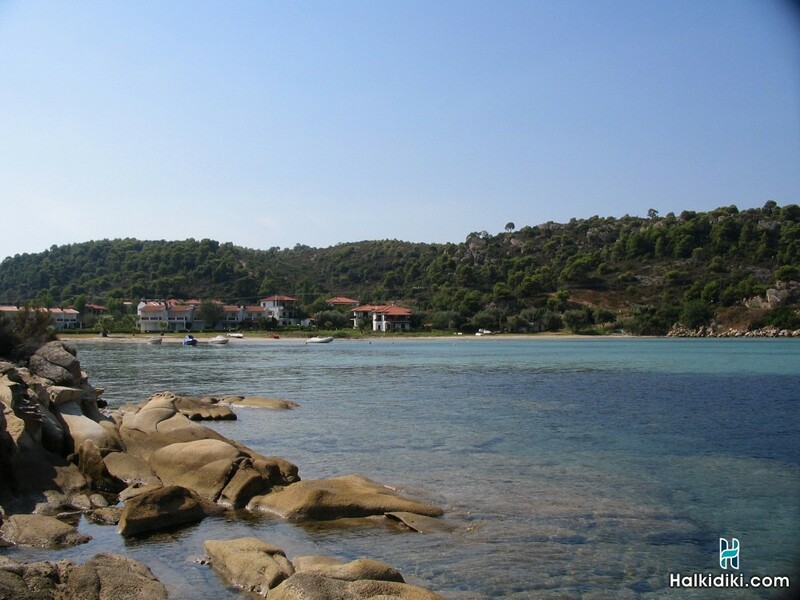 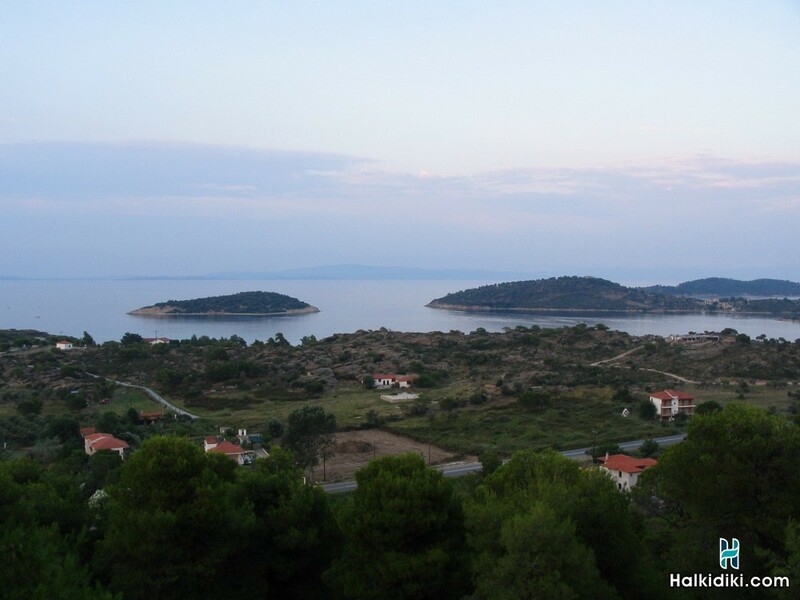 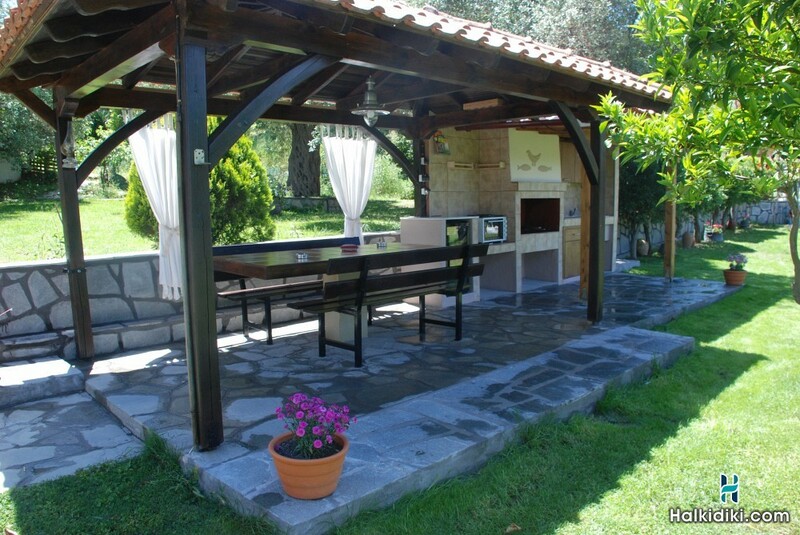 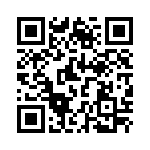 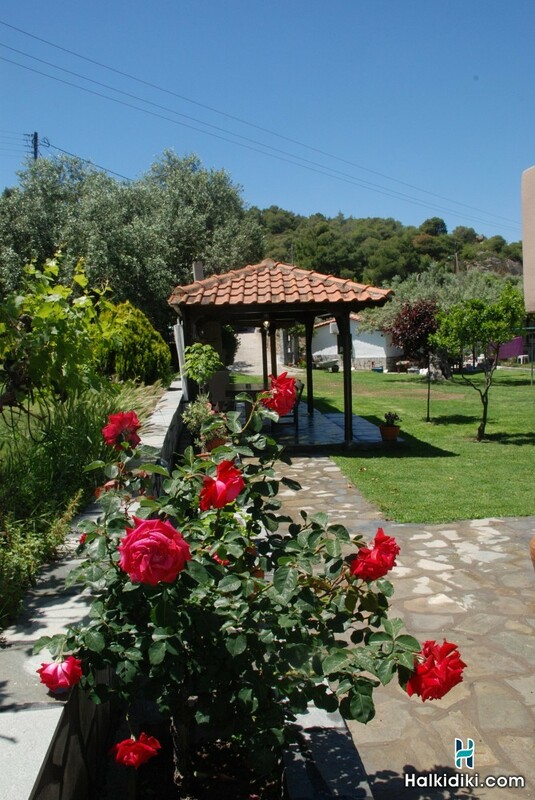 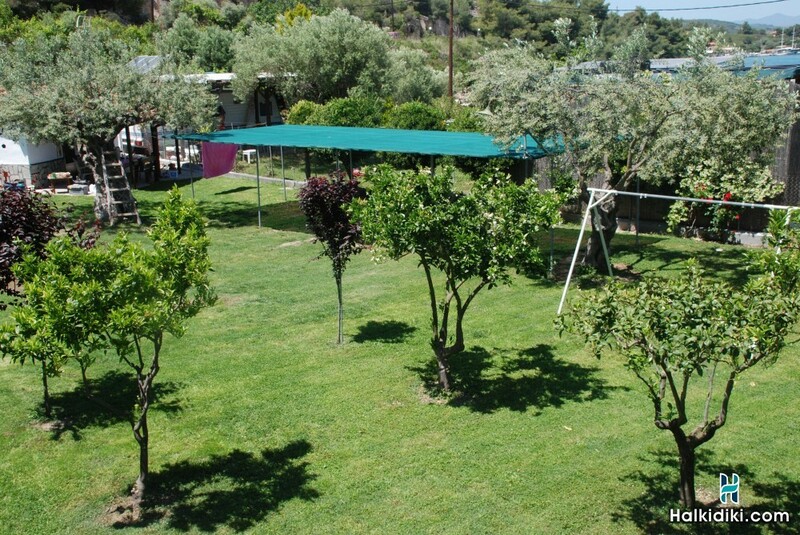 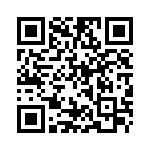 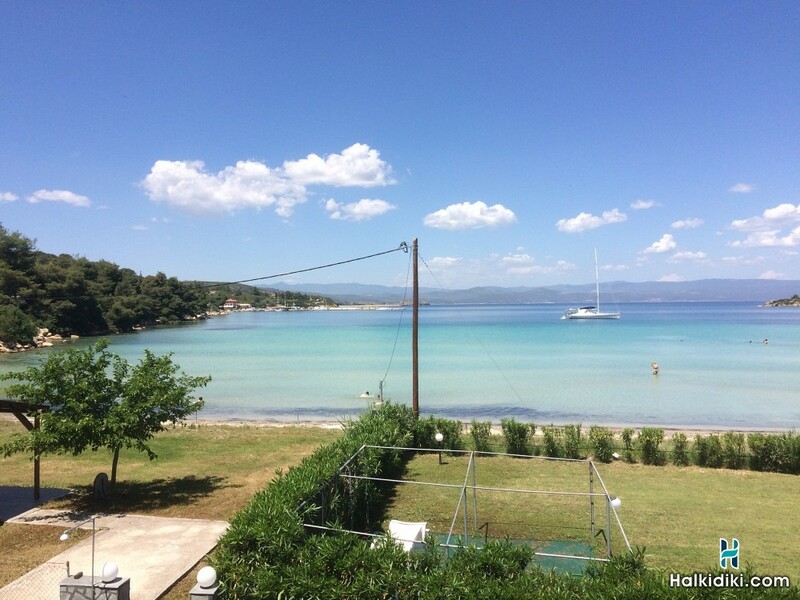 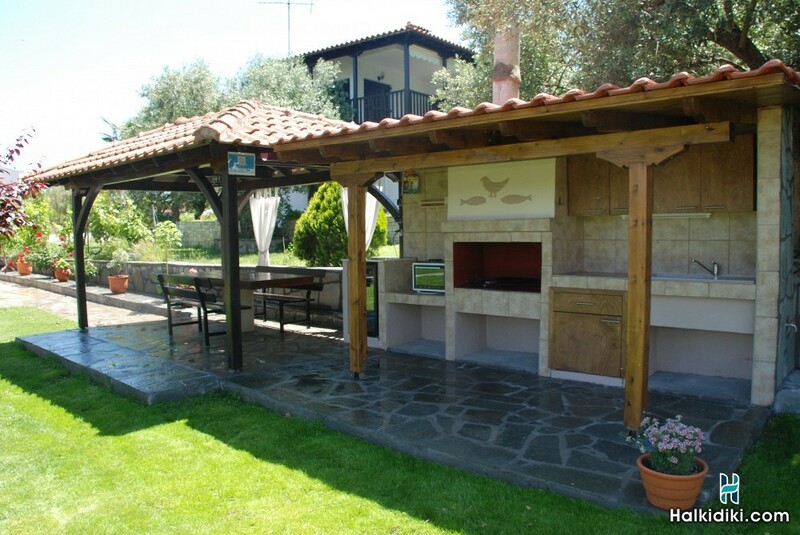 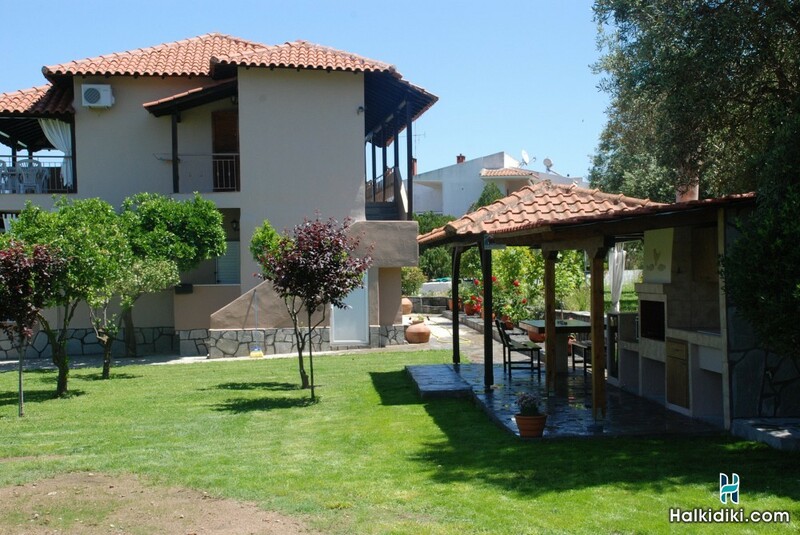 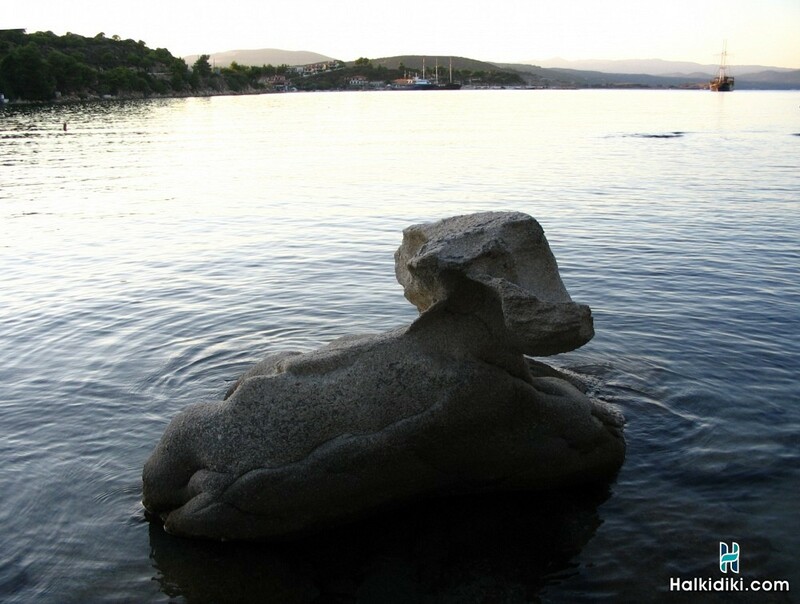 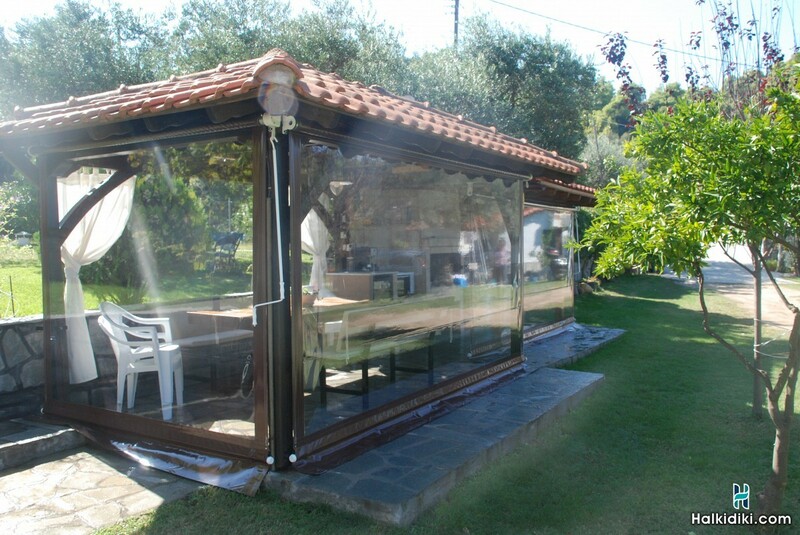 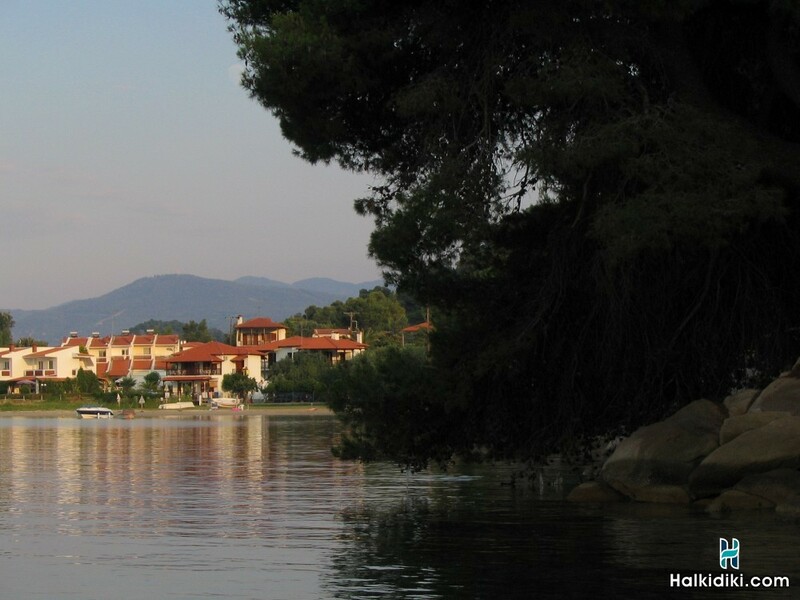 You will find us close to Ormos Panagias, in the Latoura area right next to the water. 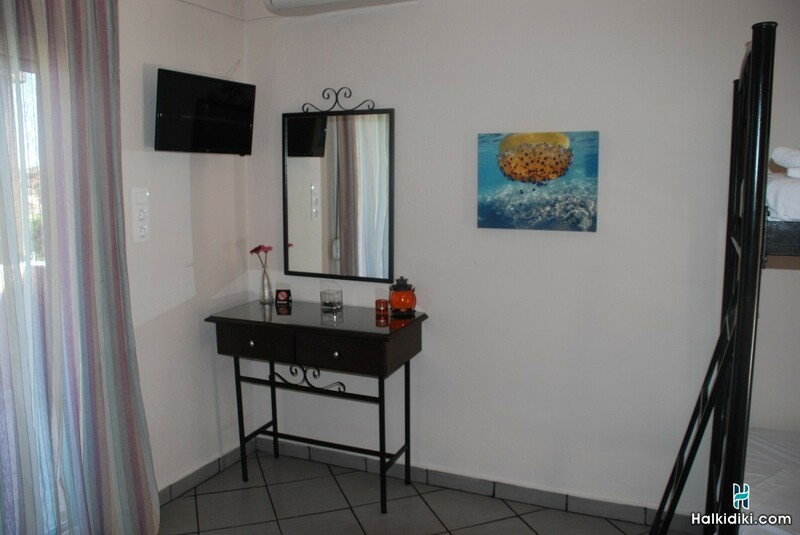 We have 4 roomy studios, all with their own individual fully equipped kitchen, bathroom, air conditioning (A/C), TV, hair dryer, ironing facilities, mini safe and verandahs. 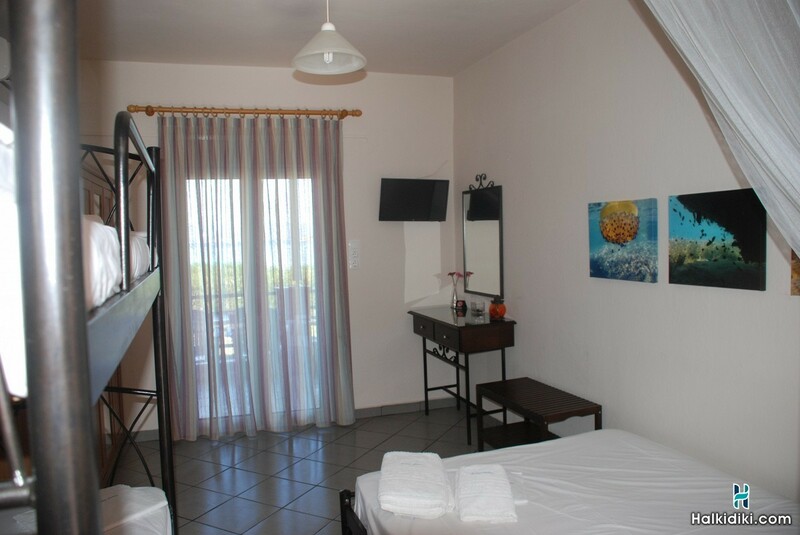 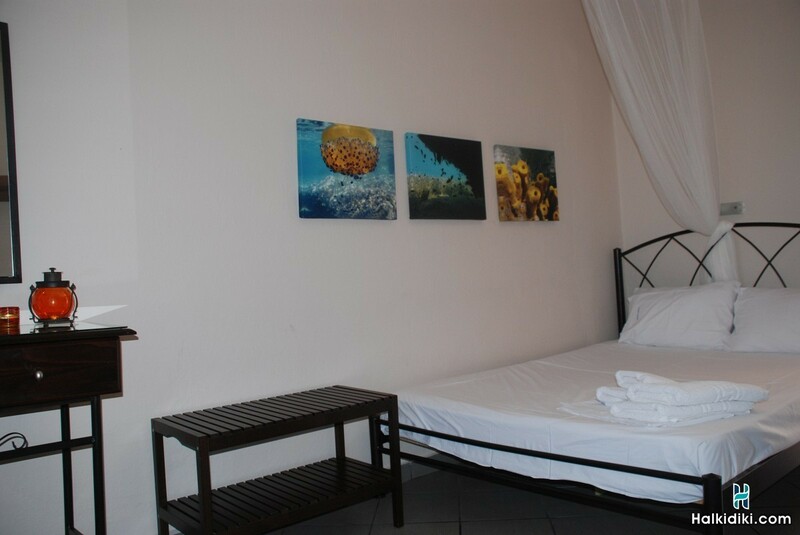 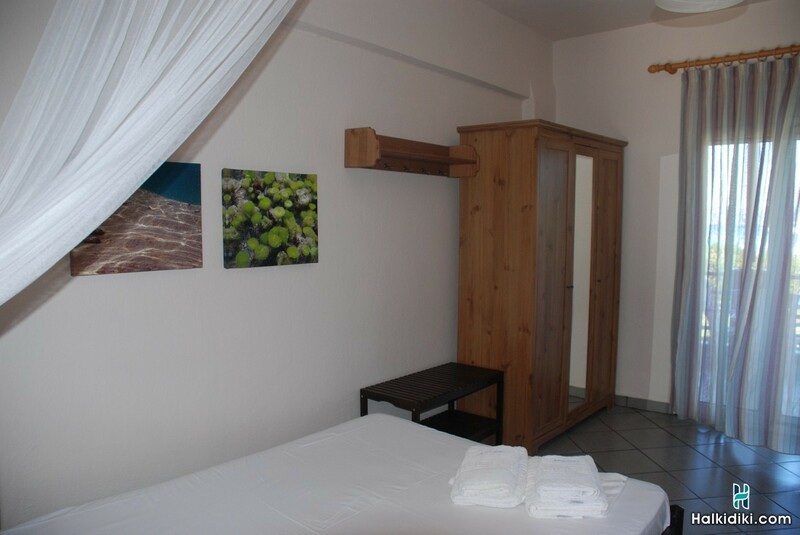 Each studio has a spacious bedroom with one double bed and a bunk bed able to host 4 persons (2 adults and 2 children). 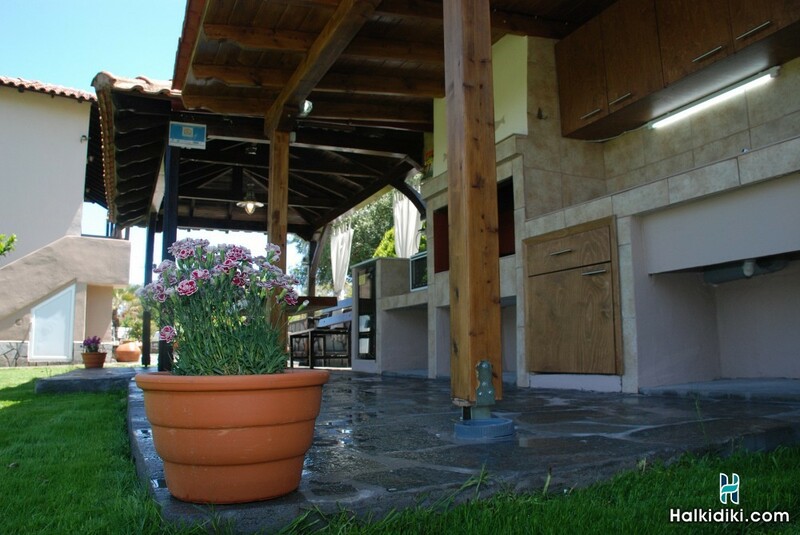 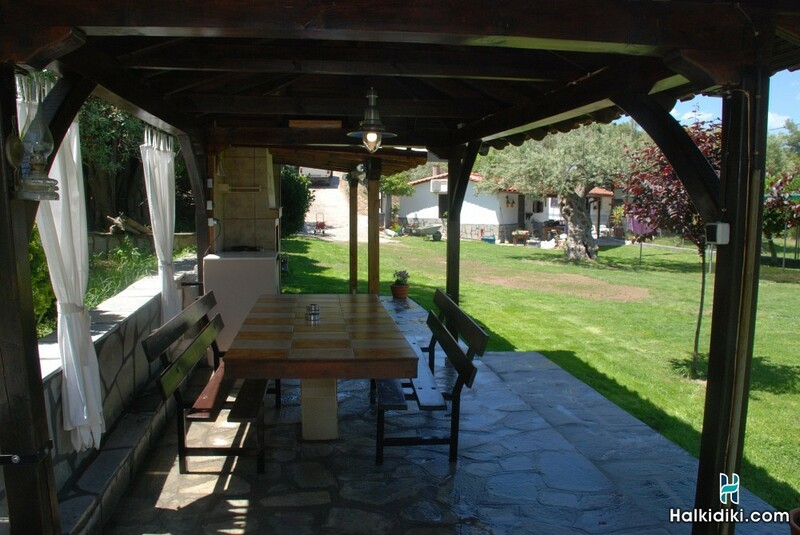 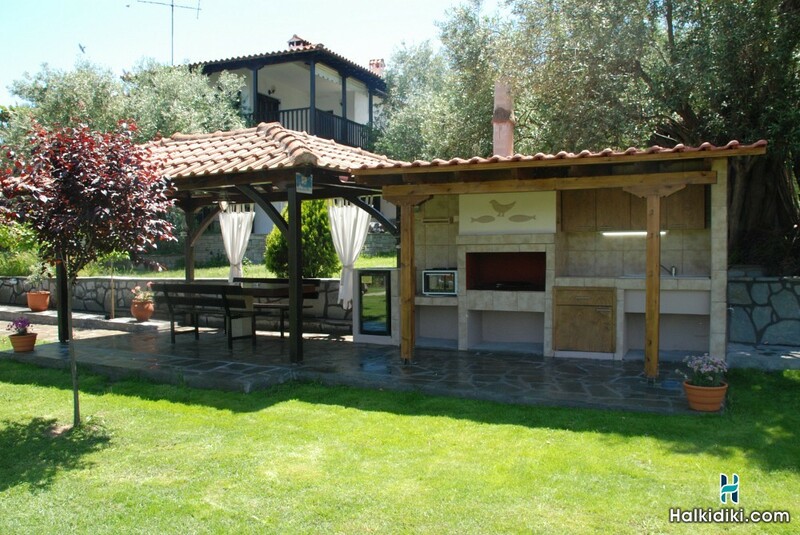 In the verandahs you can enjoy your meal or coffee with a view of the sea and the picturesque Ormos Panagias, while in the beautiful garden that surrounds the studios there is a kiosk with BBQ grill equipped with a fridge, electric oven, dishes, cutlery and an espresso coffee machine, as well as a private parking lot. 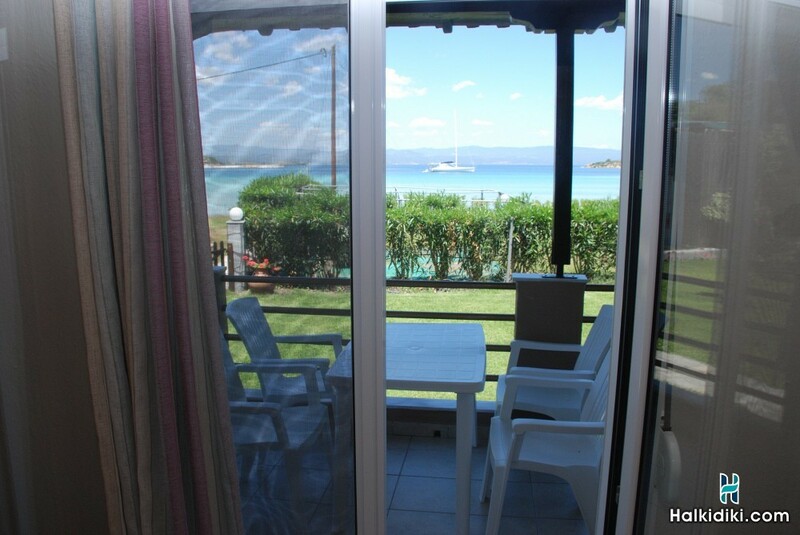 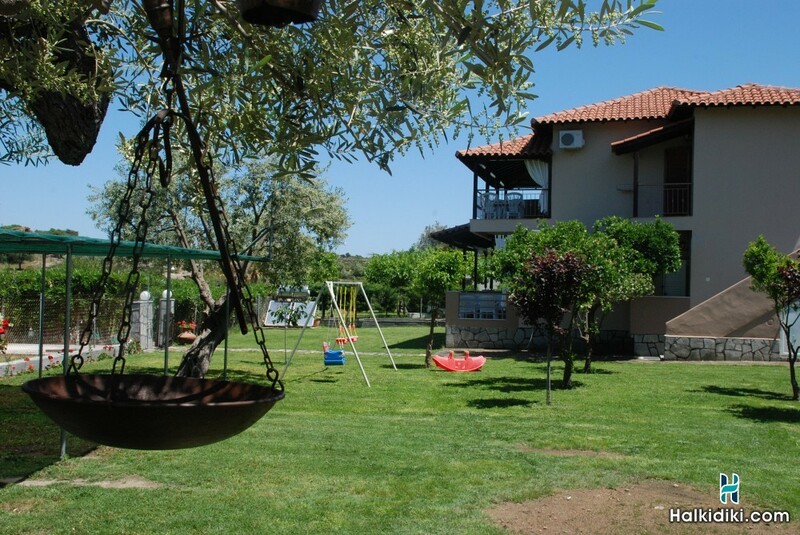 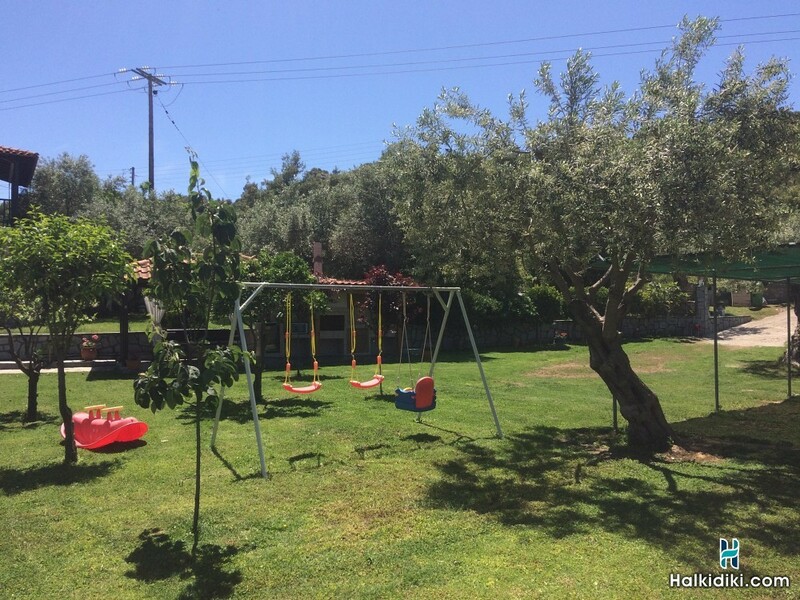 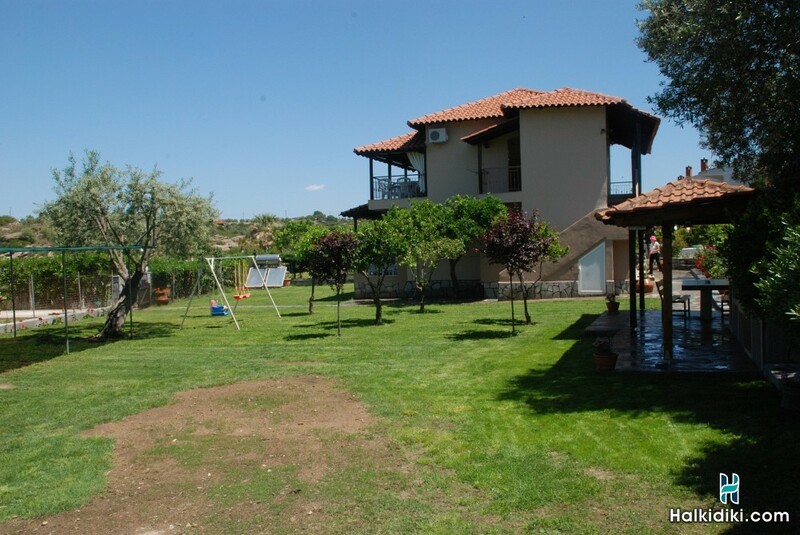 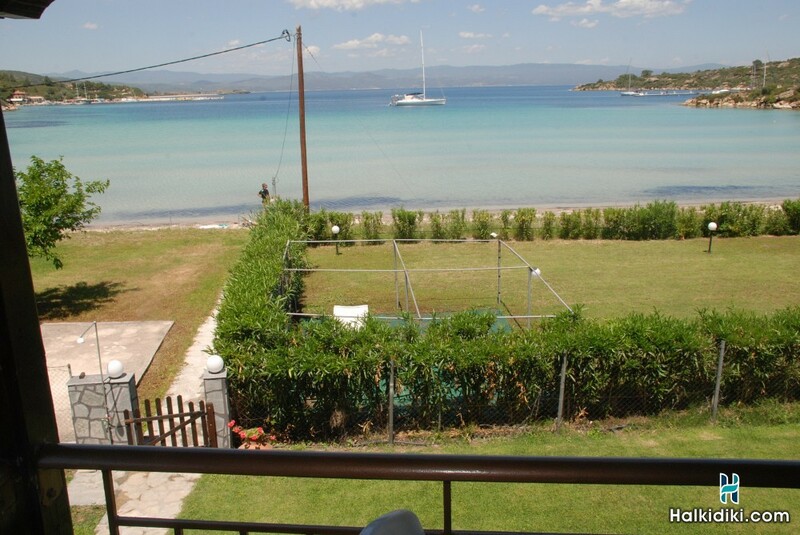 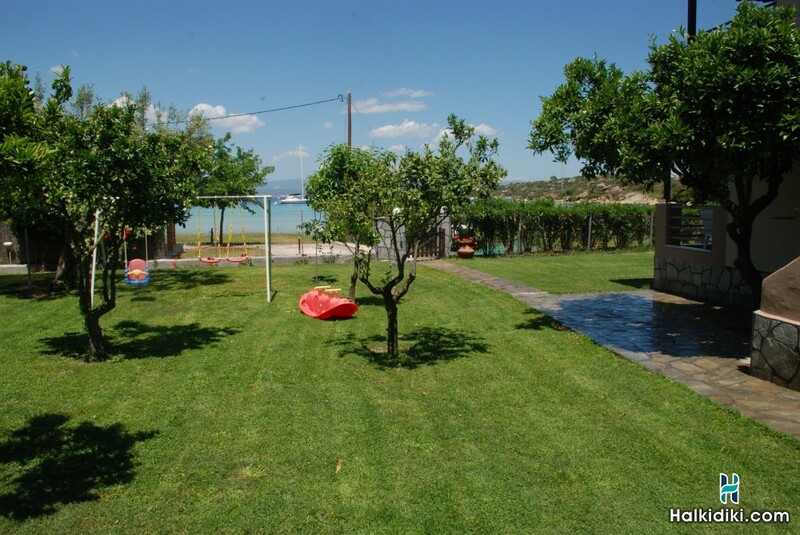 This is an ideal choice for families with small children because of the easy access to the sea and the security the large garden provides.